To submit a story and photos to Greenhouse Stories from our Readers, fill-out the SUBMIT A STORY form on the Contact Us page. 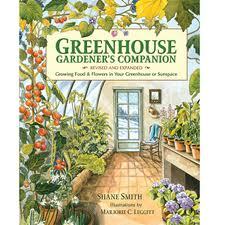 Or – if you prefer, e-mail your story to shane@greenhousegarden.com (be sure to enter “greenhouse story submission” in the SUBJECT line of your email). NOTE: By submitting photos and/or stories you are agreeing to allow greenhousegarden.com to use these submissions on this web site and you further waive all rights to them. There is no guarantee that your story will get posted – but most get in. There is a lot to learn from each and every greenhouse experience! 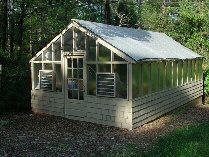 Every greenhouse has a story to tell. 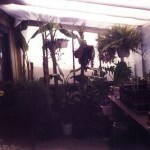 Now you can relate your own personal greenhouse short story and photos to our other readers (did we say we especially LOVE photos?). Check back often for new stories from our readers! Read on . 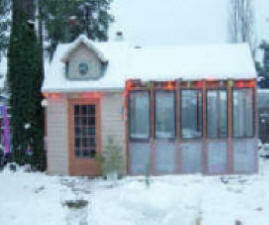 . .
Why Settle for a Cold Frame? 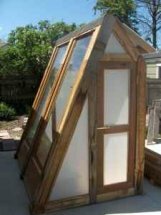 “Our greenhouse came about because we wanted a better cold frame to harden off plants started in our basement. 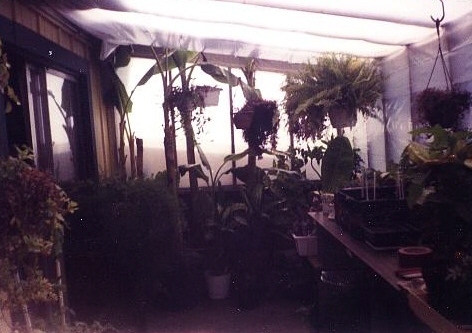 Well it soon became a true greenhouse, even able to contend with a portion of our cold Wisconsin winters. Shane’s book has proved invaluable in answering all of the questions, which arise when undertaking such a project. I live in Coeurd’Alene, Idaho and I work for a beverage company and we frequently throw away old coolers that are on the fritz. I had a thought one day that I could use those doors for something since they are tempered 3 paned glass. The next thing I knew I had a beautiful greenhouse thanks to my sweet and crafty husband! 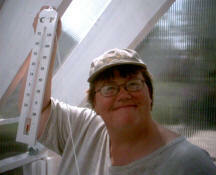 “Here’s a couple of photos from the beginnings of the greenhouse construction. My boyfriend Chuck keeps saying we should write an article about it to get published in Mother Earth News or something–but who’s got the time when there are seeds to sow and potting soil to mix!?! 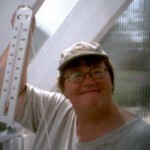 “My husband purchased the Gardener’s Greenhouse from the PBM Group.